I was charged with domestic violence, but I am innocent. How can I clear my name? Everyone is always entitled to a jury trial. 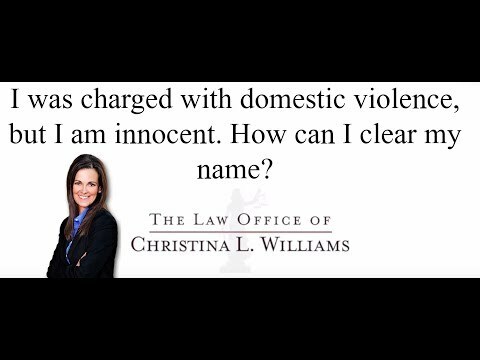 If you have been charged of domestic violence, or any crime that you are not guilty of, or that the state can not meet it’s burden in proving beyond a reasonable doubt that you did commit the crime, you are entitled to take that matter to jury trial. At our office, we routinely go to trial. It is something that I would definitely recommend to any client if they have been falsely accused of a crime.